Considering the tragic Emiliano Sala circumstances the effort made by Cardiff City at The Emirates tonight was more than admirable. With the match goalless at half time Cardiff were good value for the game being level. In fact City had a claim to be disappointed not to be in front. The better chances fell to a City team that looked far more positive than usual. Bobby Reid was a threat to the home side and saw two good chances go close. 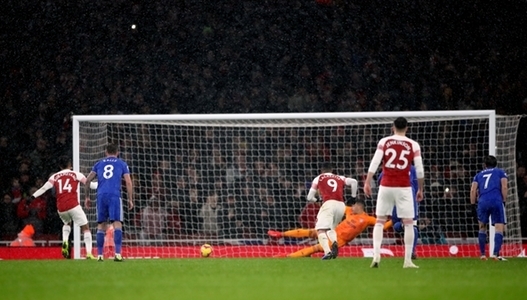 With other results going in City's favour it looked like being a good night but a penalty conceded by Bruno Manga allowed Arsenal to take the lead which they doubled later with Lacazette's finish. Nathaniel Mendez-Laing pulled one back in added time to make the scoreline more respectable but it was another blank drawn. Tough on City and the misery was compounded when Fulham came from 2 - 0 down to beat Brighton. Newcastle beat Man City, and Burnley drew at Man Utd.